Guizhou is one of the most diverse provinces in China, with 18 various ethnic groups including the Miao, Dong, and more. Spend 10 days hiking from rural villages to ancient towns. 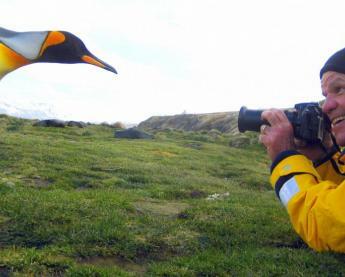 Connect with the locals, and learn about their more isolated way of life. Hike in Zhangjiajie National Park, a UNESCO World Heritage Site and unique natural wonder. 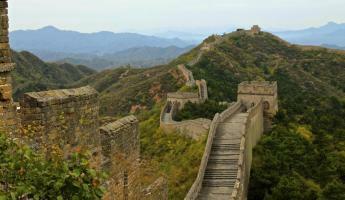 Enjoy the best of rich cultural connections and breathtaking landscapes on this China hiking tour. Arrive in Guiyang this morning. 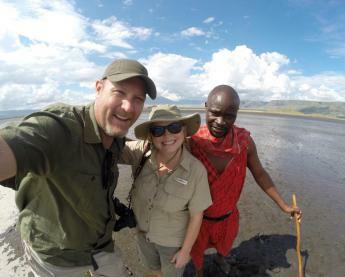 Meet your guide and set out for an hour drive, stopping en route for lunch in a local restaurant. Arrive to Damochong and set out on your first short hike in the beautiful valley. In this area, people still use the traditional method for making bamboo paper, which uses a large rock wheel used to grind the bamboo and make paste. You may stop to see some of these mills at work along the way, which are owned and operated by individual families. Arrive to Dazhai village later this afternoon where you will first stay in the simple home of a farmer. Learn about their countryside life and enjoy their warm hospitality as you settle in for the night. Arise this morning to the sounds of the roosters and dogs outside. After a quaint breakfast, drive 3-4 hours to nearby Leishan in the southeast province of Guizhou. This remote region in China is covered in mountainous terrain and requires lengthy travel time to get there. Most Miao and Dong people live here, with the Miao splintering off into some 100 various sub-ethnic groups as well. 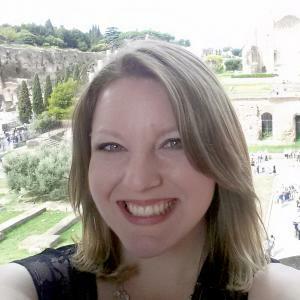 This city is a very diverse cultural experience. Visit Paika, a small Miao village well known for its Lusheng musical pipe making. As you walk closer to the village, you can hear the players tuning their pipes. Visit also the pottery studio and try your hand at practicing local pottery. Spend the day getting to know this small village before you return to Leishan in the late afternoon. After breakfast you set out for your day hike on Mt. Leigong, the highest peak in the region. Located east of Kaili, Leigong is part of the Miaoling Mountains, which has gained a reputation as a National Nature Reserve due to its abundant mountain ridges flourishing with plants and wildlife. Drive up towards the top of the mountain where you begin a downhill hike to Xiangshuiyan Waterfall, the source of the Bala River that runs through Leishan town. 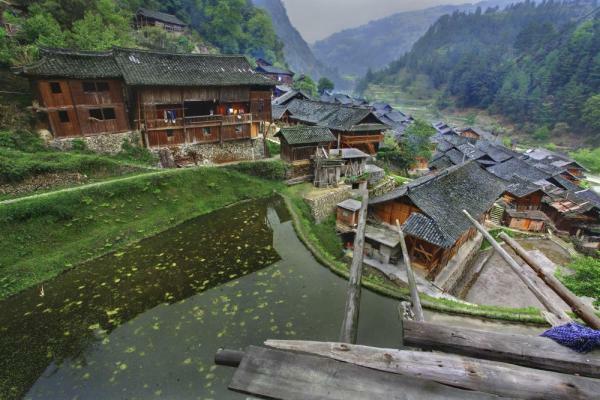 Hike through rice terraces to Baiyan Village and then through Baiyan Gorge to Taoyao Village. The people here are craftsmen of the traditional way of creating pottery and you may join some of the locals in trying your hand at this ancient art. This afternoon drive back to Leishan for a rest. Hiking Time: 5-6 hours, moderate hike. Start your hike today from Datang Short Skirt Miao Village where you stop to see rice barns uniquely built over the water to prevent the presence of mice. The women in this village keep their hair very long in order to support a unique but heavy headdress. 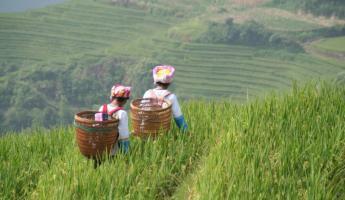 From Datang Village hike an hour to the mountain range through rice-terraced fields for a bird's-eye view of Mt. Leigong, which you hiked the day prior. This stunning view is an incredible vantage point from which to take in the vast mountain range. Arrive to Taojiang Village before nightfall. Wander around the town before you drive about an hour back to Leishan for the evening. Hiking Time: 6-7 hours, moderate to difficult hiking with up and downhills. After breakfast drive about 3 hours to Zhenyuan Ancient Town. 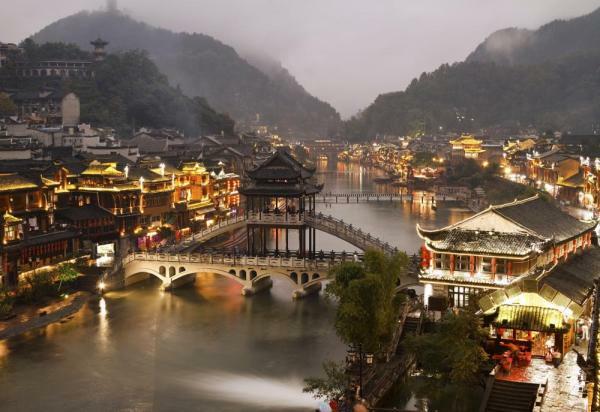 Known for its advanced transportation system by water, Zhenyuan frequently traded with the Han people in the Hunan province, leaving a Han influence in their modern culture. Old lanes, shrines, courtyards, and temples leave visitors with a glimpse into its ancient past. After lunch, visit Qinglong Cave Temple, a distinct architectural feat built into the cliff of a mountain 500 years ago. This temple had the unique distinction of combining three main religions into one sacred place: Confucianism, Buddhism, and Taoism. From the cave, you also see a bird's-eye view of Zhenyuan Ancient town below. Return to town and settle into your hotel for the night. Today marks the start of our four day journey towards Zhangjiajie, broken up with hikes and other sights along the way. This morning drive a little over 2 hours to Jiangkou and the Fanjingshan Nature Reserve. Our destination today is Fanjingshan National Nature Reserve. Fanjingshan is the highest peak of Wuling Mountain Range, which stretches from Guizhou and Chongqing in the west to the Hunan and Hubei provinces in the east. 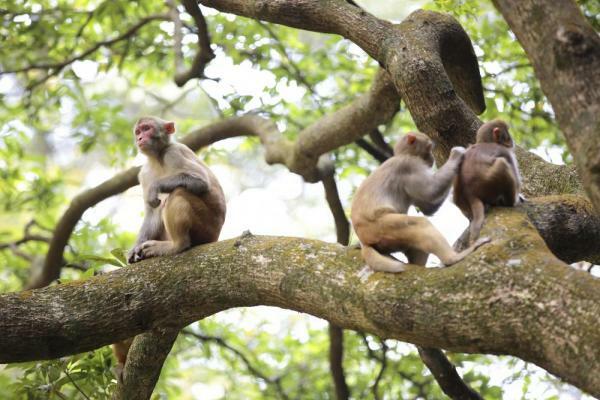 Fanjingshan has a rare and diverse subtropical ecosystem with over 2,600 species, including the golden monkey. Start with a hike* along the Taiping River and gradually ascend to the scenic area at the top, passing waterfalls, forest, streams, and villages. After some time to enjoy the impressive views, take the cable car back down the mountain and drive back to Jiangkou for the evening. Hiking Time: 5-6 hours, moderate to difficult on mostly flat trail with some uphill. *A cable car ride up the mountain can be arranged for an additional cost. After breakfast drive 3.5 hours to Fenghuang Ancient Town. This isolated mountain town became known to the outside world in the 1990's due to the famous writer, Mr. Shen Congwen and his nephew painter, Mr. Huang Youngyu, who were both born here. 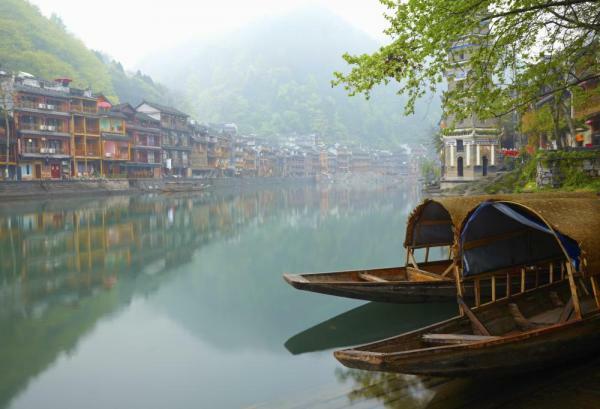 Check into your hotel today and explore the beautiful Fenghuang Ancient Town and its elegant simplicity. Wander over bridges and stroll pass stilt houses that inspire traditional Chinese paintings. After breakfast, drive the remaining 4 hours to Zhangjiajie. 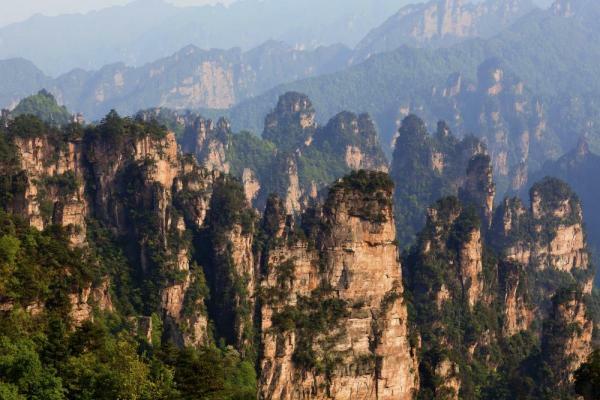 This afternoon, visit Tianmenshan National Forest Park and its renowned cliff-side cave. 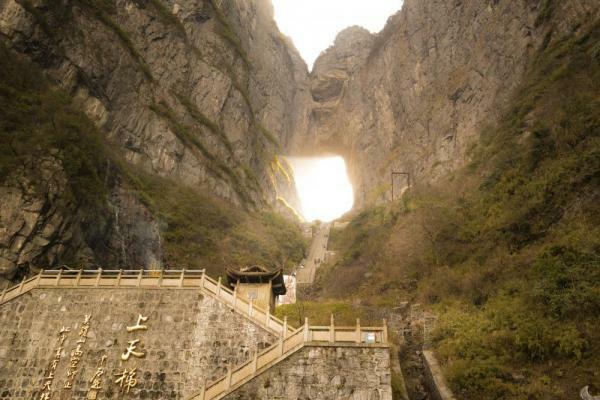 Tianmen Cave is the highest naturally occurring karst cave in the world. It actually appears to be a big hole in the side of the mountain and became a major attraction when in 1999 an acrobatic show televised flying three airplanes through it to an audience of millions. Take the 4 mile cable car, the longest of its kind in the world, up to the top of the mountain to enjoy stunning views. Try out the exciting glass walkway along the cliff that is suspended almost a mile above the ground. Hike in Zhangjiajie National Park today, starting first with Tianzi Mountain*. Here you see large protruding peaks and walk through spectacular scenery from multiple angles. See the Marshel Helong Park, West Sea, and Imperial Pen Peak. Next this afternoon take a 40-minute shuttle bus to Yuanjiajie Scenic Area, whose mountains are said to be the inspiration for Avatar's Hallelujah Mountain. This area is a mesa that overlooks the deep valley and chain of karst mountain peaks. After hiking in this area, use the Bailong Elevator to descend down the side of the mountain. 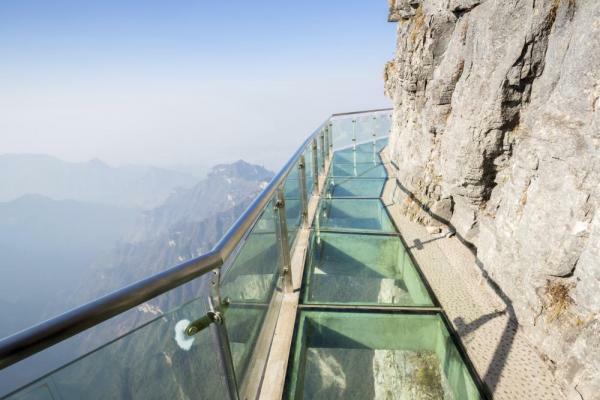 This glass elevator was built on the side of the cliff and is the world's highest of its kind, descending 40 stories in about 2 minutes. Tianzi Hiking Time: 4 hours. Moderate with uphill and downhill. Yuanjiajie Hiking Time: 3-4 hours. Moderate. 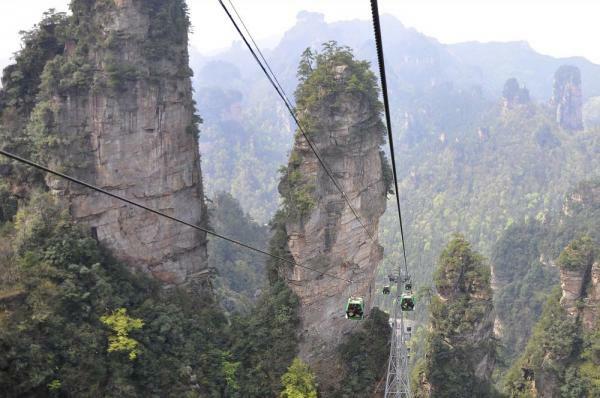 Today take the cable car to visit Huangshi Village, a fantastic location from which to see great views of Zhangjiajie from above. 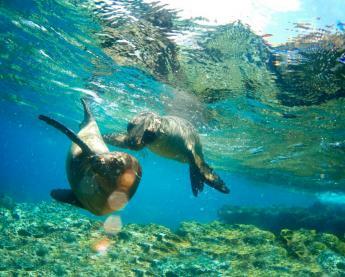 Hike around to the main scenic spots which include Treasure Box of Heavenly Books, Magic Sea-Suppressing Needle, South Pillar of Heaven, and Golden Tortoise Watching the Sea. Visit also Six Wonder Pavilion and the Star Gathering Stage. After lunch, enjoy some casual hiking along the Golden Whip Stream, named for the Golden Whip Rock and its famous pristine water. Its steep cliffs and verdant mountains create a landscape ripe for plant growth and its pathways cut through an abundance of flowers, trees and grasses as well as habitat for a wide variety of wildlife. Enjoy dinner this evening and fly out on an evening flight tonight. Hiking Time: 6-7 hours. Moderate with uphill and downhill.